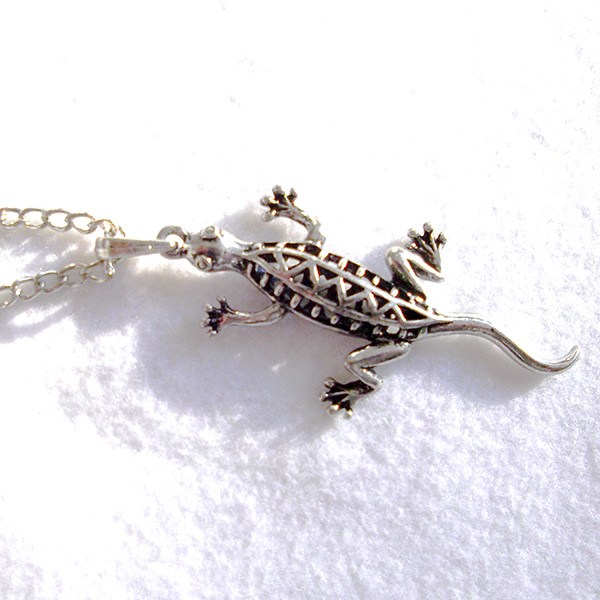 Gecko necklace made of tin alloy. Length gecko approx. 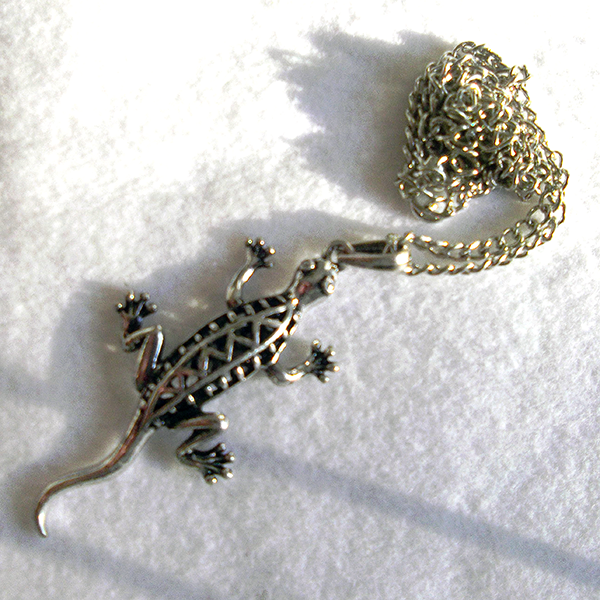 5 cm, width about 2.5 cm. 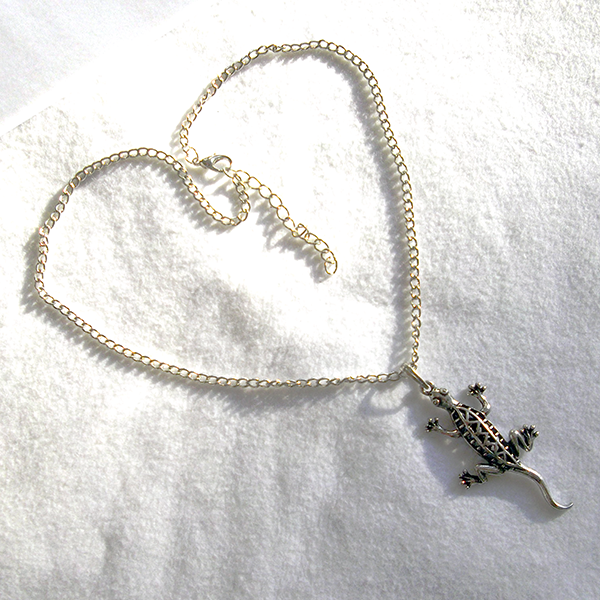 Necklace length adjustable between 40 and 46 cm.